First this one from the 16th on SpaceX's Falcon 9 tanking test, with a planned flight "no earlier than May 8"; thus as soon as (though likely more than) just 18 days from now. Next, Barack Obama's speech was uploaded to the White House's YouTube account about a day after he made the speech, but the subtitles were uploaded just yesterday. Having subtitles means it can be translated more accurately into one of the 51 languages Google Translate supports, and with languages like Spanish or Norwegian it is usually quite accurate. 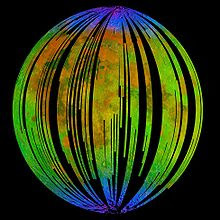 Finally, an idea: Wikipedia has a page here called Lunar water, detailed but not extremely long (five pages, 40 references) and thus far only in seven languages besides English. If you are a user on a non-English Wikipedia consider translating it and getting it to appear on the did you know...? section of the front page, or some other related section where it will receive some attention. There has been some discussion going on here since the speech about the lack of focus on the Moon in the new speech, and while I agree 100% that ignoring the Moon is a huge error, I'm not worried about lunar exploration because 1) the US is still sending unmanned missions to the Moon, 2) other countries like India and China have reached the point where they can, and are contributing, 3) even private industry is almost at this point too. In addition, there are some other countries out there that probably could be contributing to exploration of the Moon but simply aren't. I'm thinking Canada, Brazil, countries with about that much economic clout and the ability to construct a lunar probe, but haven't done so yet. So perhaps as individuals one of the best things we can do is to maintain and increase an interest in the Moon itself, and if this is in another language then so much the better. Água Lunar é a água que está presente na lua. A água líquida não pode persistir na superfície da Lua, porque o vapor de água é rapidamente decomposto pela luz solar e se perde no espaço. No entanto, os cientistas desde os anos 1960 conjecturou que o gelo de água poderia sobreviver no frio, as crateras permanentemente sombreadas nos pólos da Lua. An article on this on the LFN Wiki and Wikipedias in Occidental and Ido shouldn't be too difficult, but if any Esperantists care to translate the page then even better. I think I'll begin with LFN.